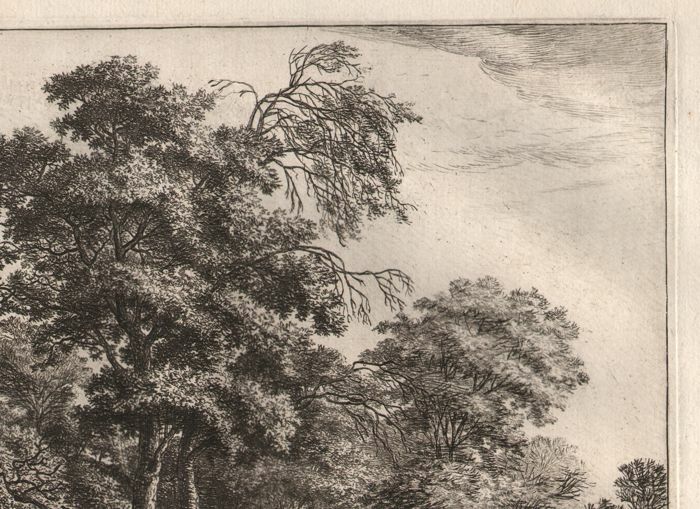 Nobody is better in depicting trees then this mid 17th century's artist. Here one of his largest work still in the full sheet with wide margins. 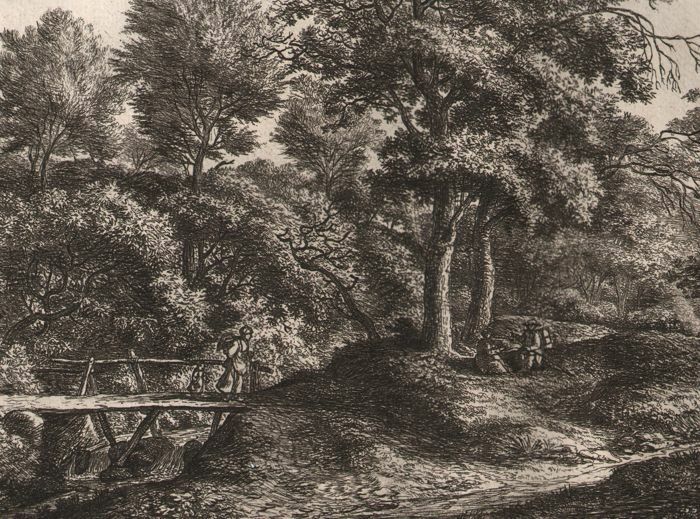 A peasant woman and girl crossing a wooden bridge at left, at centre a couple seated underneath two trees on a mound, a country road leading diagonally from centre foreground to right background; from a series of six landscapes. 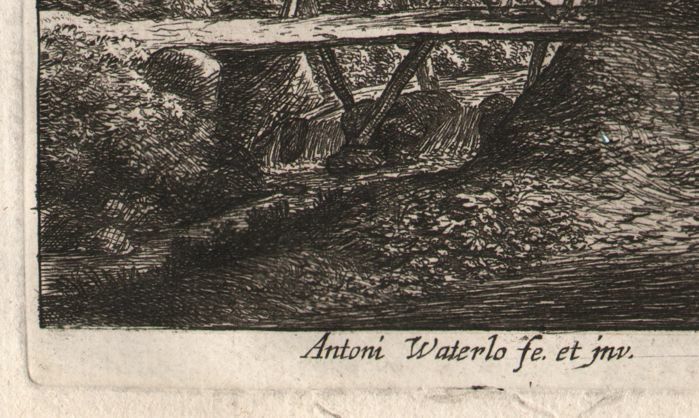 Lettered in lower margin: "Antoni Waterlo fe. et jnv." and "2". 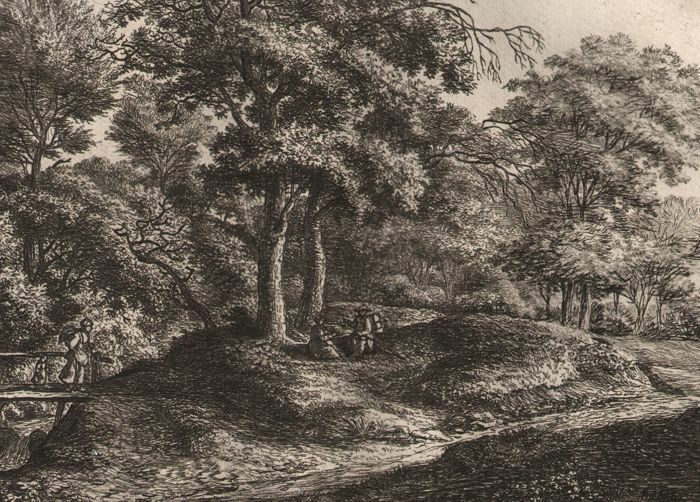 Draughtsman, painter and etcher of mainly landscapes. Born at Lille, in Amsterdam in 1621; later in Leeuwarden and Maarssen; retired to an almshouse in Utrecht in 1678 where he was also buried. . 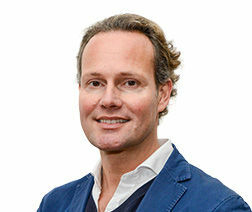 He is believed to be an autodidact. 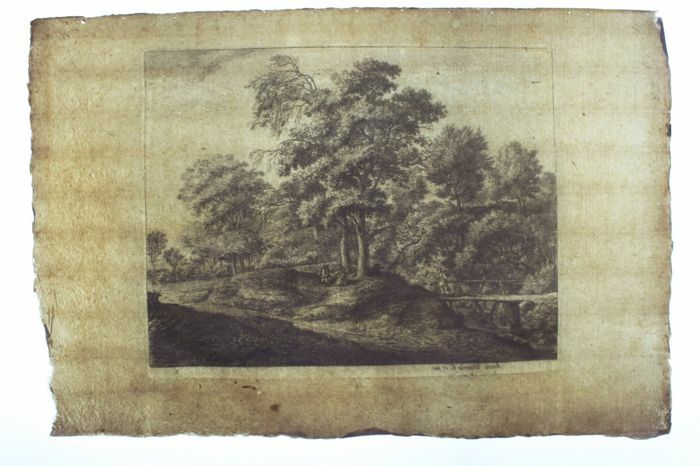 Published his own plates. 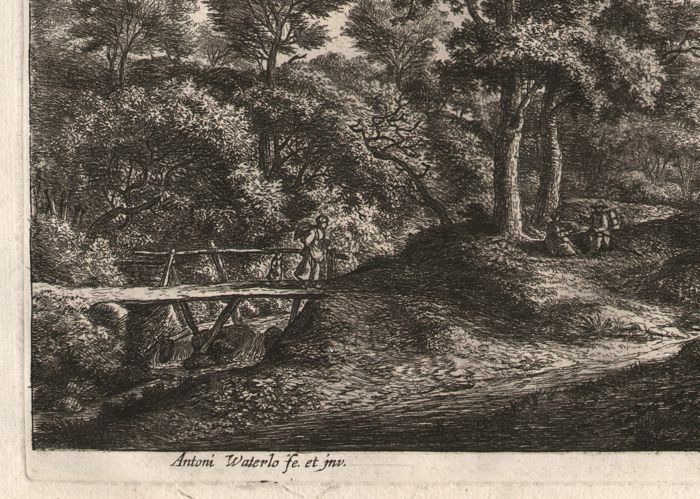 Lived in Amsterdam in the time of Van Ruysdaal, Safltleven and other important masters. 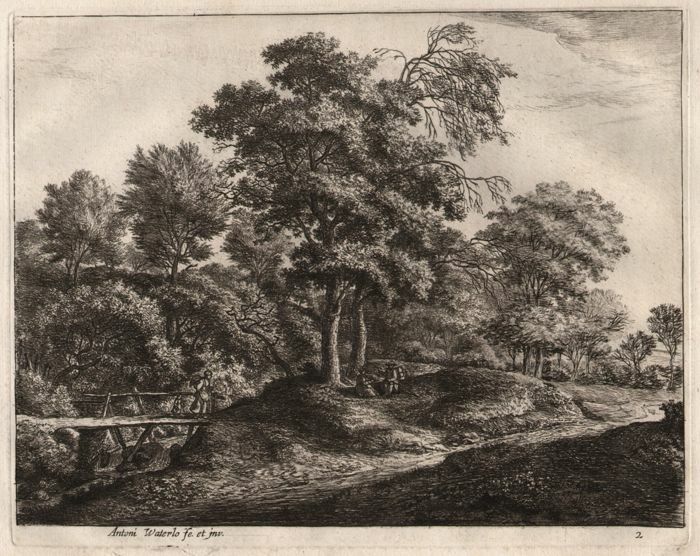 His etching contains motifs he observed in Germany, the Netherlands, Belgium and Italy. 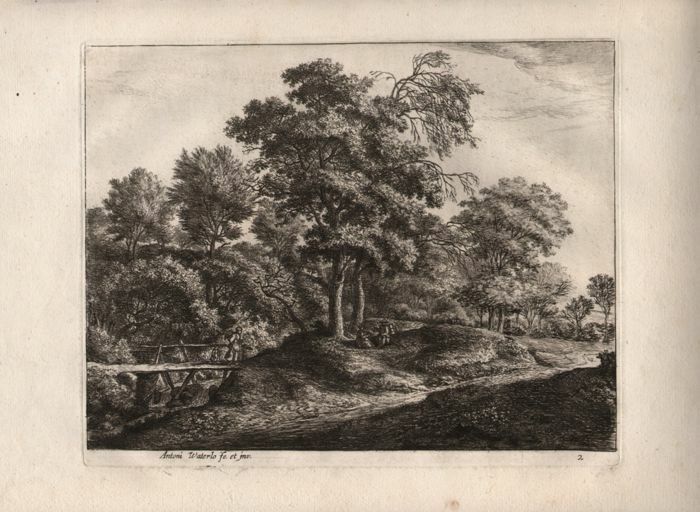 He created 136 etchings and built an important reputation. 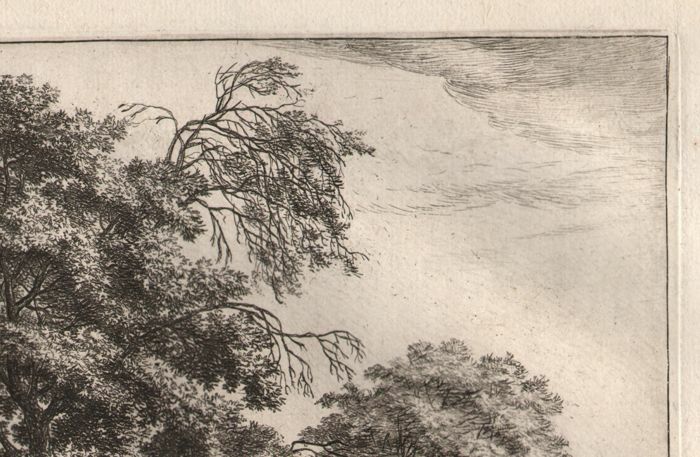 This etching has to date from around 1650, during the highlight of the realistic landscape sets in the Netherlands. 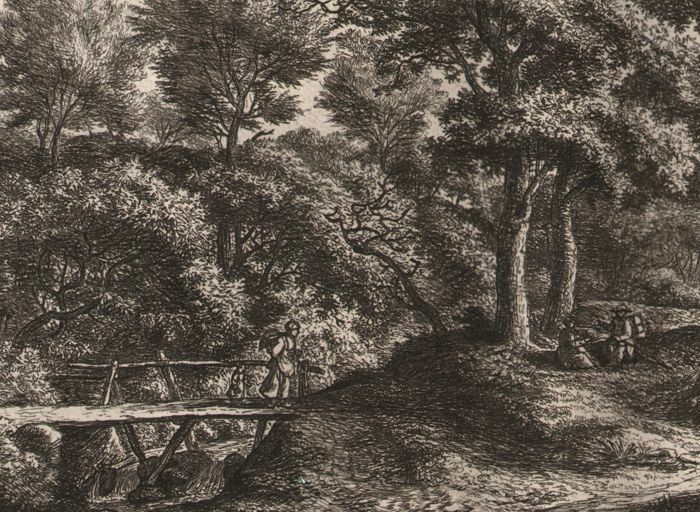 The picture is made in etching technique but it is known that Waterloo updated details with the burin.